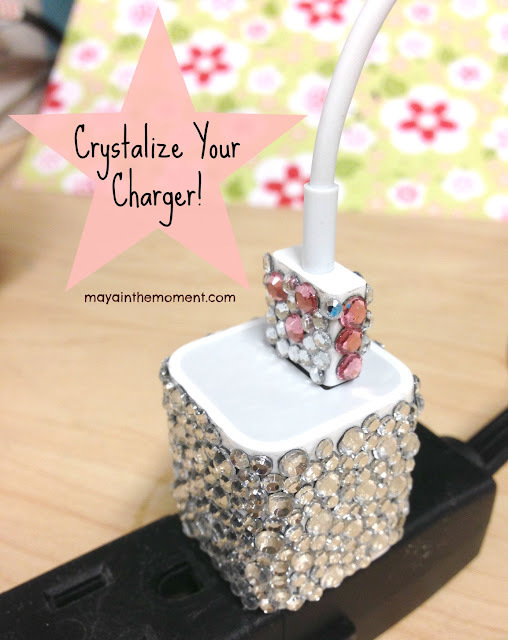 iLoveToCreate Blog: MAYA IN THE MOMENT: DIY Crystal Phone Charger! MAYA IN THE MOMENT: DIY Crystal Phone Charger! I've been in a sparkly mood lately and have been gluing Tulip Glam It Up Crystals on just about everything! Not only my iPhone case and headphones, but now even my charger. Think I'm crazy? 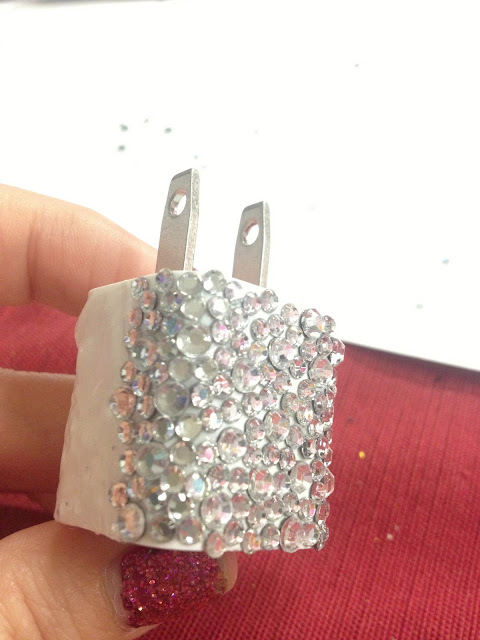 Check out "crystal phone charger" on Etsy, Pinterest and eBay and you'll see from the listings that I'm not the only one. People are charging big bucks for these and now I'm going to show you how to do it on the cheap! Side note - yes, I blinged my headphones too. Don't judge! 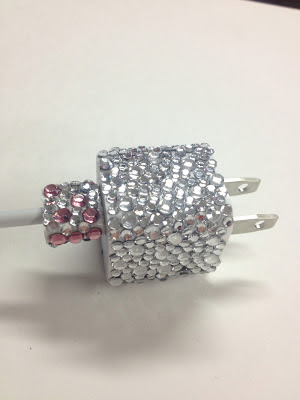 Aside from your charger, you'll need Aleene's Tacky Glue but you can also use Liquid Fusion. You'll also need Tulip Glam It Up Crystals in your choice of color, a toothpick and a paper plate to squeeze the glue onto. 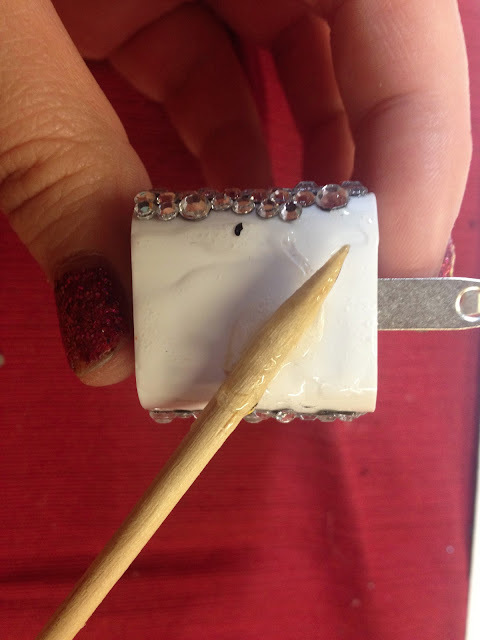 Use your toothpick to add a layer of glue to one side of the charger. Next, spread out your crystals. Use a crayon or Tulip® Glam-It-Up!™ Fashion Art Tweezers™ to pick up and apply each one. NOTE: The mini size of crystals works best! You can decide what pattern you like - flowers, ribbons, circles or just all random and mixed up like the one I made. I also did the other end of the charger too. Done! I love it, it makes me feel so Hollywood. 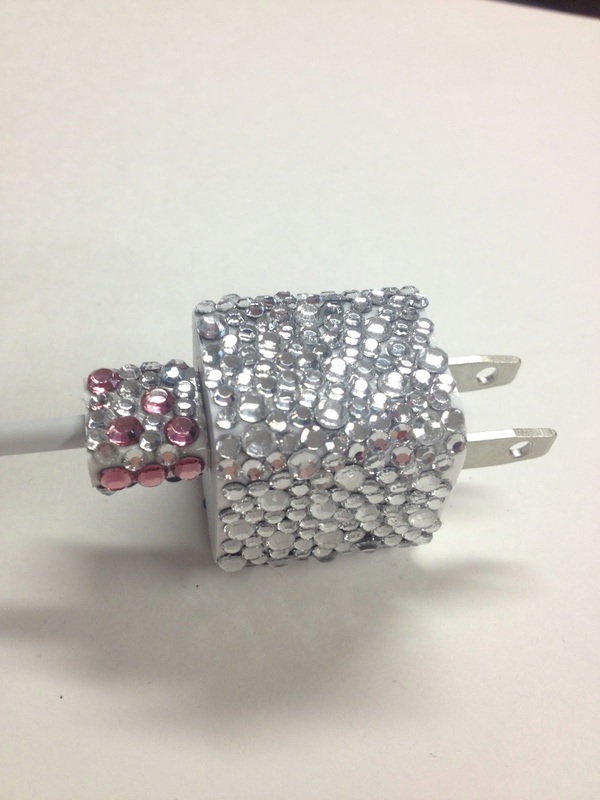 Like, if I happened to be walking the red carpet and needed to charge my phone, I could whip this out and still feel glamorous!